← Halloween Wedding Invitations: Taking custom design to a whole new level! 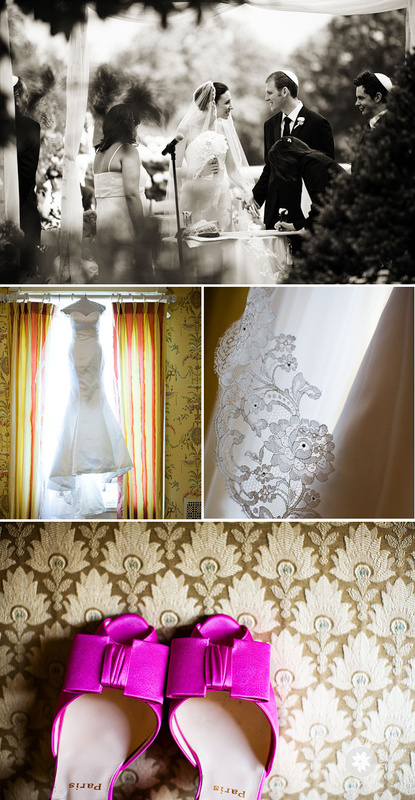 This week’s real wedding features a delightfully romantic wedding that took place at the beautiful Cairnwood Mansion in Pennsylvania. Dina and Leo established early on that they wanted to focus on creating an intimate event surrounded by only their closed friends and family so when we began creating their wedding invitations, we embraced that idea along with the bride’s love for all things vintage. The color palette of rich marigold, honey and yellow tones complimented the summer season and brought a vibrant twist to their special day. And what a day it was! Just take a look at their gorgeous wedding photos! Needless to say, I’m such a fan of how they were able to bring in bright colors and accents yet still maintain the beautiful vintage and timeless look they were going for. And how gorgeous are those fuchsia colored shoes? I always love seeing how designs we create get translated into wedding decor, details and even cakes! Take a look at how our unique invitation monogram and motif were applied to the cake! 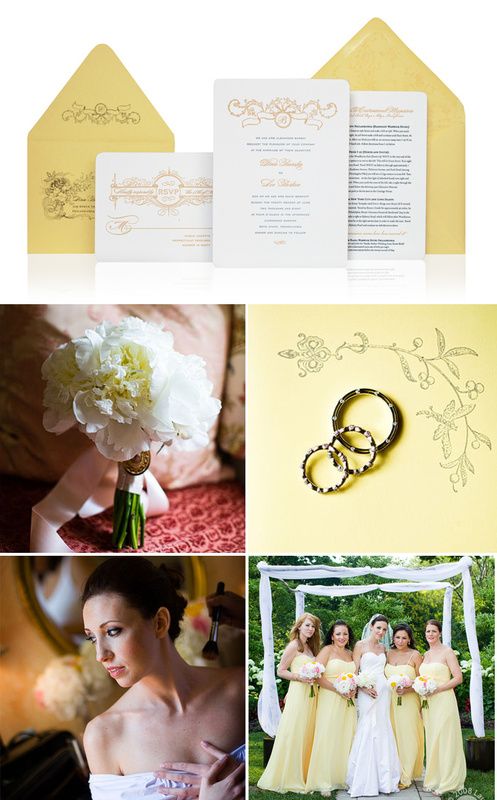 This entry was posted in Luxury Wedding Invitations, Monogram, Romantic. Bookmark the permalink. What a romantic wedding! The couples looks so great!The fuchsia pink shoe is really stunning!